Golden Sun Adept's Refuge - Your Source For Golden Sun: Dark Dawn Guides! Calling all Djinn hunters! Seven Djinn of each type have snuck into the forum, looking for strong travelers to help reunite them with their friends. They are drawn towards clues of recent human activity, so you can find them in the most recent posts (made by anyone, images edited in by admins) of threads active within the past three months. These Djinn want to be found, and so are clearly visible, and can be 'captured' by the first person to find them and post (on-topic) in a thread after they appear. The member with the greatest number of Djinn at the end of the Anniversary event will be awarded a Djinn-hunting medal and points for their clan! » Golden Sun Mixer, Episode 1! » Interforum Challenge 4 - ToK! » Interforum Challenge 3 - GSHC! 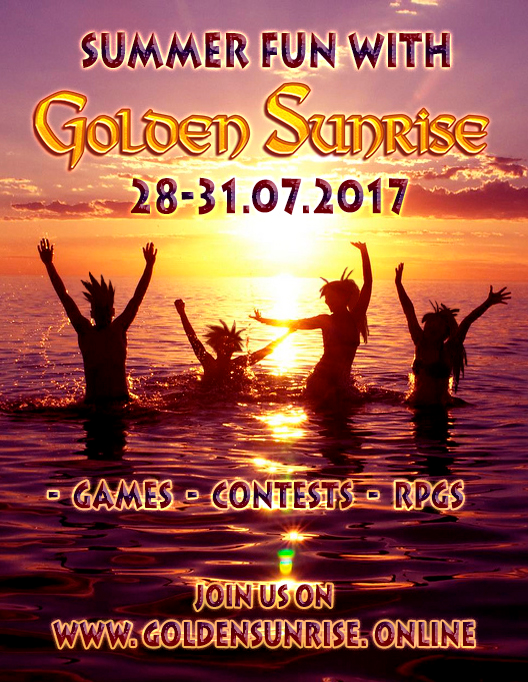 » Interforum Challenge 2 - Sunrise! » Interforum Challenge 1 - Aeiou! » Interforum Post Bomb Extravaganza 2016! » [Results] GSAR Member Awards 2016!